Human history in the region now known as Belarus dates back to the Stone Age. Belarusian identity began somewhat later with the migration of the East Slavs between the 6th and 8th centuries AD. 980AD Rogvold, Prince of Polotsk, controls a region that now makes up part of northern Belarus. The first written record of the Belarusian state. 1067 The first written record of Minsk (Мѣнескъ) and the accepted year of the founding of the city. Minsk rapidly develops into a major regional centre of trade. Belarus is incorporated into the Grand Duchy of Lithuania. The foundation of the Polish-Lithuanian Commonwealth (Rzeczpospolita Obojga Narodów) in 1569 effectively writes Belarus out of existence as a national entity. Belarus is swallowed up by the Russian Empire after the third partition of Poland in 1795. 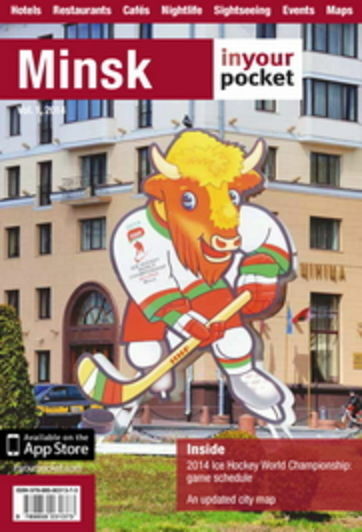 Minsk becomes a regional capital. Intensified Russification between 1840 and 1850leads to Nicholas I banning the Belarusian language and outlawing the use of the word Belarusia/Belarus. The region becomes known as the Northwestern Territory. In the wake of the signing of the Treaty of Brest-Litovsk on March 3, 1918 the short-lived Belarusian People’s Republic is declared three weeks later on March 25. By February 1919Belarus finds itself in the middle of the Polish-Soviet War. The obscure Lithuanian-Belarusian Soviet Socialist Republic survives for several months in Belarus and eastern Lithuania before a Polish victory sees the country split in two after the Riga Peace Treaty of March 18, 1921. The western half goes to the Poles and, inDecember 1922, the eastern half including Minsk becomes a founding member of the Soviet Union. Between 1937 and 1941 Stalin’s purges see some 250,000 intellectuals, Jews and others murdered in the Kurapaty forest immediately north of Minsk. On September 17, 1939 Belarus is technically united as one again as the Soviet Union invades eastern Poland. The German invasion of the Soviet Union that starts on June 22, 1941 in Belarus and that becomes the Great Patriotic War leaves over 30% of the population dead and nine out of 10 buildings in the capital destroyed. The Minsk Ghetto holds some 100,000 Jews of whom nearly all perish during the Holocaust. On July 3, 1944 Minsk is liberated by the Red Army as it begins its slow advance on Berlin. Belarus becomes a founding member of the United Nations in 1945. In 1961 Lee Harvey Oswald, alleged assassin of US President John F. Kennedy, lives in Minsk. At the 1972 Summer Olympics in Munich, 17-year-old Olga Korbut from Grodno raises several storms with her revolutionary gymnastic performances that see her winning a total of one silver and three gold medals. Minsk is awarded the title of Hero City onJune 16, 1974. A series of explosions and a resulting fire at reactor four at the Chernobyl Nuclear Power Plant in the then Ukrainian Soviet Socialist Republic send a plume of radioactive smoke into the atmosphere on April 26, 1986. The worst nuclear accident ever sees Belarus receive 70% of the radioactivity. National sovereignty is declared on July 27. Independence is officially declared after the collapse of the hard-line putsch in Moscow onAugust 25. On December 8 the leaders of Belarus, Russia and Ukraine sign an agreement bringing into existence the Commonwealth of Independent States (CIS). Minsk becomes the administrative centre. The Soviet Union is officially disestablished on December 26. Belarus introduces its own coupons to replace the Soviet rouble on May 20, leaving the rouble zone on June 1. On March 15 the Supreme Soviet adopts a new constitution. In the first free presidential elections on June 23 Alexander Lukashenko is elected president, taking office officially on July 20. In a national referendum on May 14 over 75% of the electorate says Yes to Russian becoming an official state language alongside Belarusian and the return of the old Belarusian Soviet insignia including the Soviet-looking flag without the hammer and sickle. President Lukashenko and Boris Yeltsin sign a treaty calling for a political union between Russia and Belarus on April 2. On May 24 Belarus and Russia sign a new unification deal ensuring freedom of the press and free activities for political parties. The treaty goes into effect onJune 11, 1997. President Lukashenko is elected for a second term on September 9. President Lukashenko is elected for a third term on March 19. The new Belarusian National Library building opens its doors to the public onJune 16. President Lukashenko is elected for a fourth term on December 19. On December 21 the Belarusian Parliament ratifies documents forming the legal basis for a single economic area comprising Belarus, Kazakhstan and Russia.